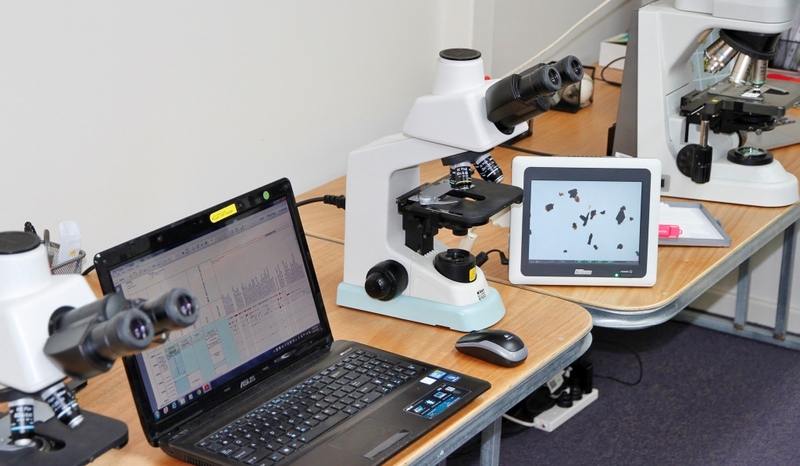 With almost 35 years experience, MGPalaeo offers both office-based and wellsite palynology, covering all parts of the geologic column and utilizing our highly refined palynological zonation scheme built upon decades of work to give you quality biostratigraphic control. Palynology is the study of microscopic fossils (spores, pollen, dinoflagellate cysts, acritarchs, and algae) recovered from rocks (including coals). It is a discipline that has been employed by the resources industry for many decades, providing high resolution biostratigraphic age dating and correlation of strata from outcrops to wells to across whole basins. We require approximately 20g of rock in order to produce palynological slides for analysis, with the best results coming from siltstones and shales of grey to green colour. However, we can also effectively work with coarse sandstones and coals. Our staff are happy to discuss any proposed sampling program with you to ensure the best results possible and best value for money. This can be for new wells or review projects. Palynomorphs are sensitive to high temperature and to recrystallisation processes in rocks and therefore not generally preserved in metamorphic rocks, secondary cemented or recrystallised rock such as dolomite, or in rocks in which the organic matter has been carbonised by heat. Our MGPalaeo biostratigraphers can work with you, at your office or ours, helping to develop/refine your project in the best way possible. Please contact us to discuss your requirements or ideas.